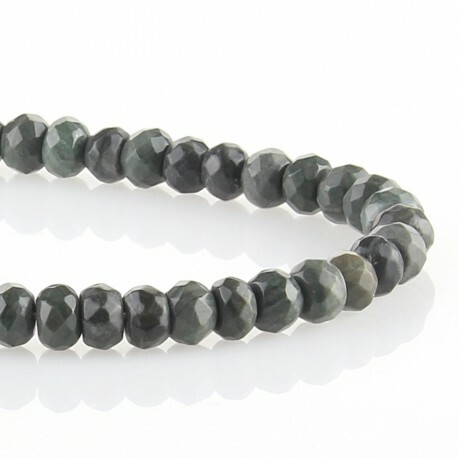 Faceted pyrite beads, carved in rondelle format. They are threaded in strands of 40 cm. 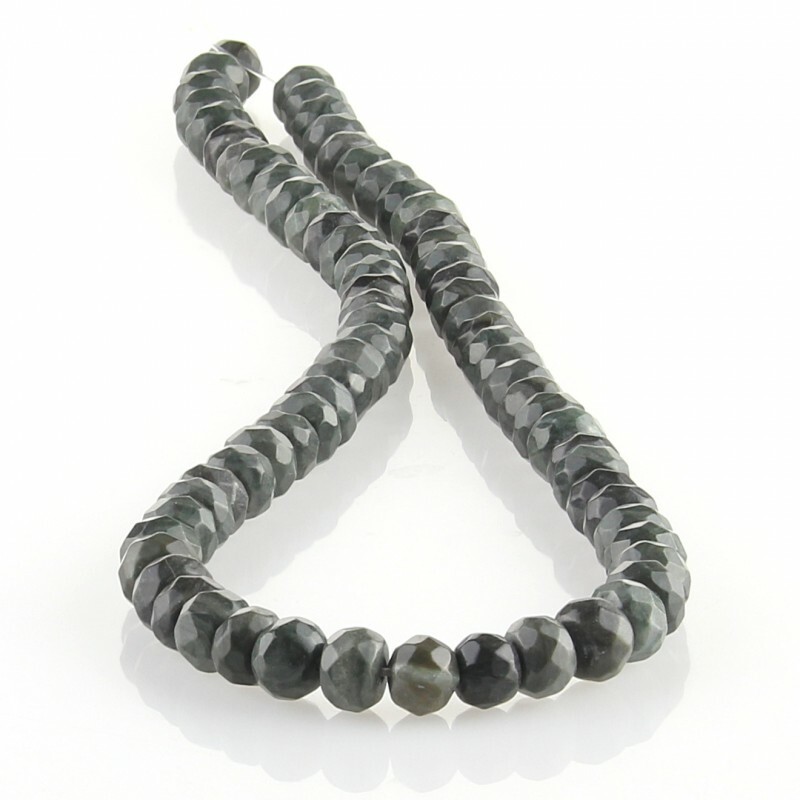 Each strand has 72 stones and weighs about 35 grams. Size: 8 x 6 mm.